sw80's review"Download the app and control from your iPad"
The 1818VSL is made by PreSonus Audio Box and is very similar to the 4x4 model that they make. This interface has 18 inputs and 18 outputs making it the ultimate interface to have if you are recording a lot of tracks simultaneously and needing to mic up a bunch of different instruments or drums so you don’t need to switch out cables as you would with a smaller interface that does not have as many ins and outs. The preamps on this model are very quiet and warm. It does come with Virtual StudioLive software for free, this software is not the best software but if you don’t already have a DAW then it will work great for you. A cool feature about the 1818VSL is that you can control everything remotely from your iPad. There is an app that they make that you can download and it will work great with the 1818VSL. It will allow you to control all of your parameters like EQ and panning. I have used this interface multiple times since October of last year, each time we use it I know that we are going to get great sounding recordings easily. It is very easy to set up, much like all of the other PreSonus interfaces are. The 1818VSL has 10 digital inputs and 10 digital outputs. The audio outputs are all TRS and inputs are XLR and TRS. This unit can be racked and being that it has so many inputs you will not have to get behind it to swap out cables. So once it is racked up then you are good to go from the first time you start hooking up your gear. It has MIDI in MIDI out and MIDI thru. 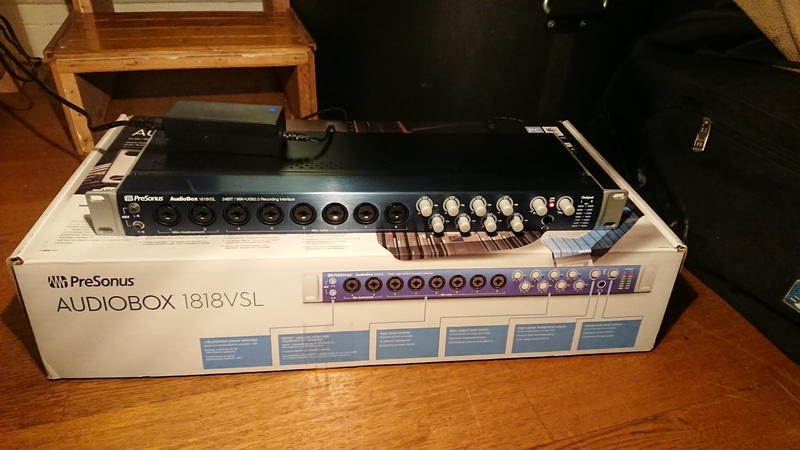 The price of the 1818VSL is around 400 dollars now which is a great price for all of these inputs and solid preamps. It does not have any effects on it though, which would be a huge bonus if it did. 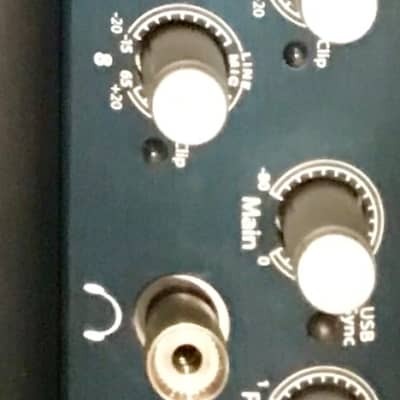 squall974's review (This content has been automatically translated from French)" emotional lift"
I no longer use it, I used one month full and I searched for a solution to the problem of buffers masi nothing to do, the value for money is good if the product in full operation since Octo preamp in it n 'there is no bcp manufacturer do at this price. I will not make the choice to go to presonus malheureusment this event has been traumatic and more I saw that it was not the only product to know the problem at home. Nico fiddle player's review (This content has been automatically translated from French)" Really good!" 8 inputs xlr, the sampling frequency converters Class A, USB connectivity (I do not have firewire), low latency, the software comes with Studio One ... all this led me to buy this card. I use with condenser mics for recording acoustic instruments (guitar, violin, bodhran, mandolin, Irish flute ...). I use a less powerful PC (win xp sp3, 2GB ram, AMD 1.2 Ghtz, 70 GB HDD only!) And it works great! Worry-free installation, no driver problem (use the ones offered on the site Presonus). For the moment, I have not tested with more than 2 tracks simultannées recording and playback 6. No problem. Everything is really clear, I have not struggled at all. Just read the manual and download the latest driver. For 1 month. Previously, I was using a Edirol FA66 I sold. It worked well but I did not have a FireWire port on the PC (motherboard has never accepted PCI Firewire, I had to take an old Toshiba laptop - it worked anyway). I like stability. What I like least, not much, but it still a bit warm but nothing serious to find something. Yes I remake this choice (at the same time do it a month, but I'm not disappointed). weshman's review (This content has been automatically translated from French)" disappointment ..."
It was so good on paper: VSL technology, FatChannel, 8 + 8 ADAT tracks and also DAWS. And then coupled with Studio One, it was perfect! Must already be able to install the driver to judge whether it is stable or not. For my part, I am not able to install it correctly! 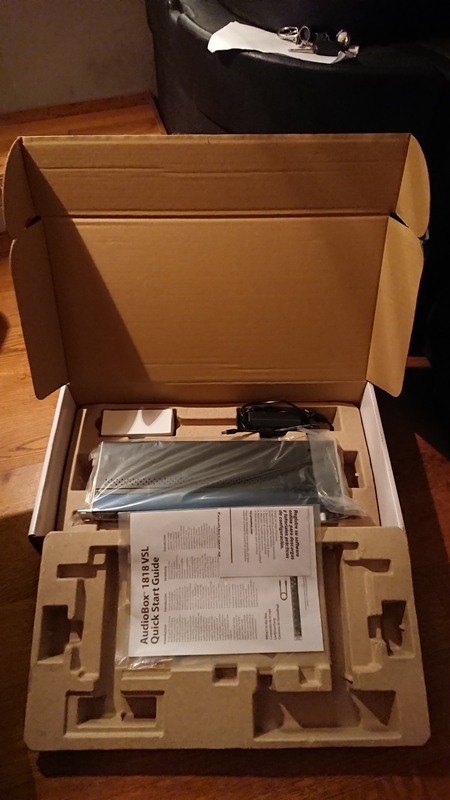 And I have too much hassle for almost two weeks, visiting the site and forum presonus.com, and here I have not enjoyed the Audiobox! "Pops and crackling"! 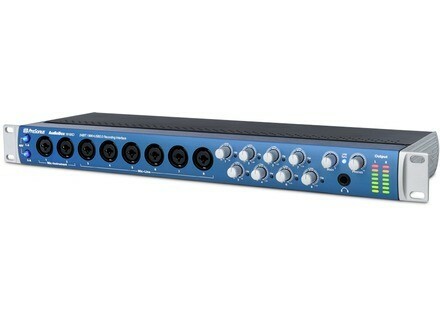 that's what we're talking about the forum about the presonus Audiobox 1818vsl! It is not compatible with MAC moutain lion and USB3. It is 500 € in the trash! Obviously me and the presonus units: one is finished. Against by Studio One is a wonder!